The electric toothbrush sat in your bathroom, or that new brush you may well be considering, is surprisingly more powerful than you may think. 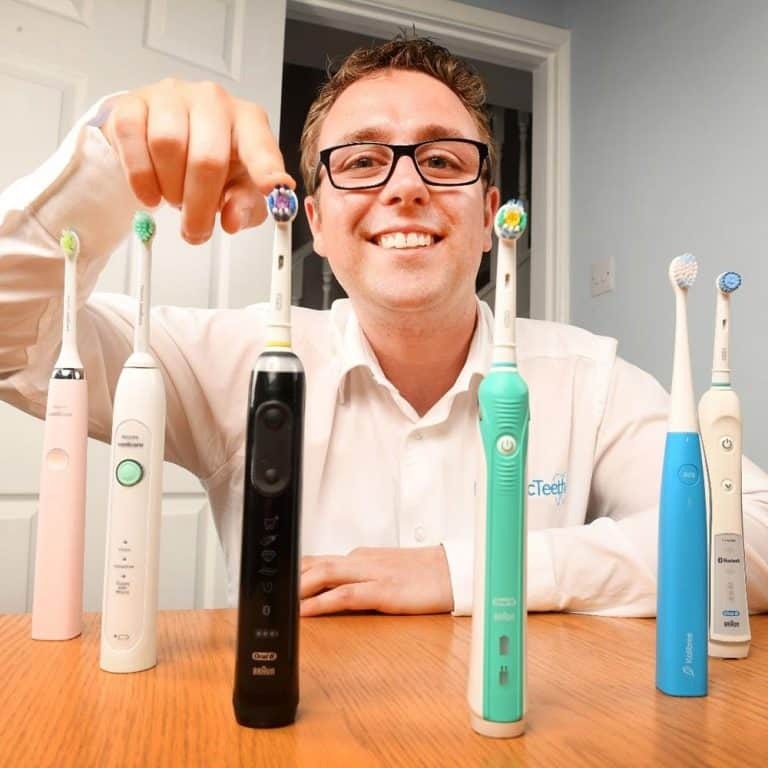 Many models from the Oral-B range of power brushes have a feature referred to as ‘Sound Connectivity’, but what exactly is it? What is Oral-B sound connectivity? Sound connectivity is the relationship between an Oral-B electric toothbrush and the Oral-B application on an Android or iOS smartphone or tablet. Sound is used to activate a timer and log your usage inside the electronic app for reference during and post clean. The provision of an on-screen timer makes it possible to see how long you have been cleaning for and when to change quadrant as well as when to end the clean. The sound connectivity feature marketed (or not in most cases) is based on your mobile device ‘listening’ for the sound of the Oral-B toothbrush. When the Oral-B app is installed on your mobile device, be it and Android or iOS smartphone or tablet, the app will use the built in microphone to listen for the sound of the brush once it has been switched on. The app and microphone work together to listen for a particular pitch or sound wave which it is known to be the exact sound of the Oral-B power brushes be that a Pro or TriZone series when the motor in the brush is running. When this sound is heard (usually after turning on the brush) the app if already open will change the display to show the 2 minute timer for your clean. Providing the brush remains switched on and the mobile device within audible range of this, it will continue to log the time of clean until such time as the brush is powered off and the surrounding sound changes or the device is out of range of the sound. When the app is functioning and listening it will change the timer on screen and acts as a great visual prompt to you, highlighting how long you have been cleaning for, when to change quadrant and how long you have left. The app compatibility and the ability to listen to the brush relies on the product having a microphone that is accessible as part of the app permissions. Tablets may be excluded from this. In the following video we show the sound connectivity in action on a series of Oral-B power brushes. Which brushes have sound connectivity? You can get the iOS app HERE.You can get the Android app HERE. Do you own or have you used an Oral-B brush with sound connectivity? Let us know what you think about this feature and let others who may well be considering purchasing know your opinions before they do. I entirely agree with Gerard. Utterly pointless. I think the main point is to log your brushing history and by providing a tracking of consecutive days brushed to encourage people that have trouble brushing every day. On top of that I believe it has achievements/trophies for people that are into that kind of thing; for the same reason as above. What’s next….? Follow my toilet use on twitter? What a pointless use of technology. My old toothbrush just buzzed at the appropriate times. This must be what the cavemen were hoping evolution would bring.